4 Bdrm Upper Self-contained flat. Hall. Lounge. Dining rm. Kitch. 2 Bdrms. Bathrm. Upper flr: 2 Bdrms. Boxrm (CT band - B). Price around £150,000 Entry by arr. Viewing 07930 994757 or contact solicitors. Below Home Report Valuation (EPC band - F). 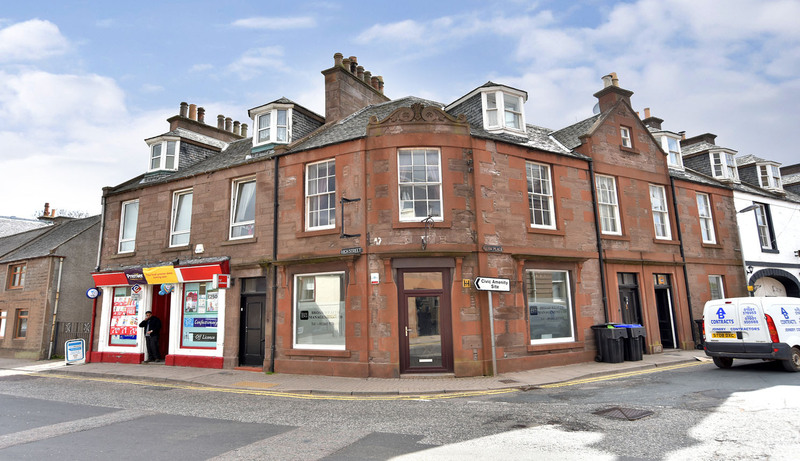 We are delighted to offer for sale this traditional two public/four bedroomed self contained double upper flat situated in the popular village of Laurencekirk, within walking distance of the railway station, secondary school and shops. 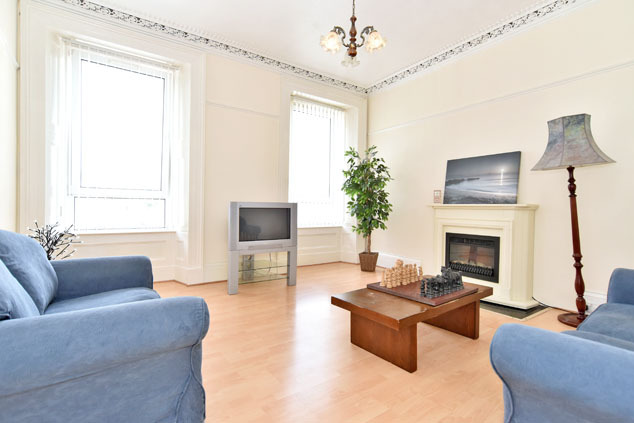 The property benefits from gas central heating, partial double glazing and some lovely period features including cornicing and skirtings and is to be sold with all white goods and furniture. Entering from the street is the ground floor hallway with meter cupboard, large understair storage cupboard and staircase leading to the first floor. 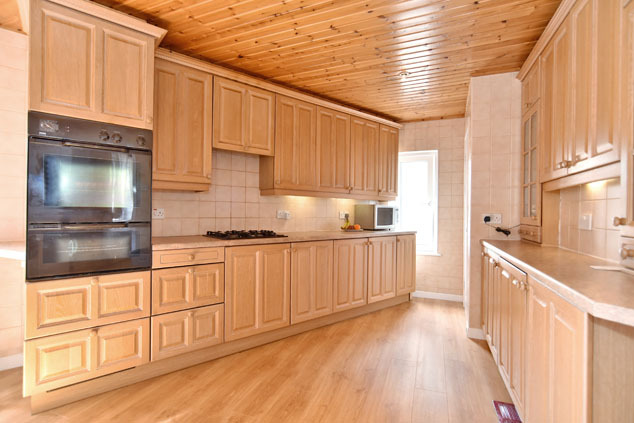 On the first floor there is an impressive lounge with double windows and cornicing, a versatile room currently used as a home office but suitable for use as a dining or family room and this leads to the light oak finish kitchen. There are two double bedrooms and bathroom with coloured suite and shower over bath. 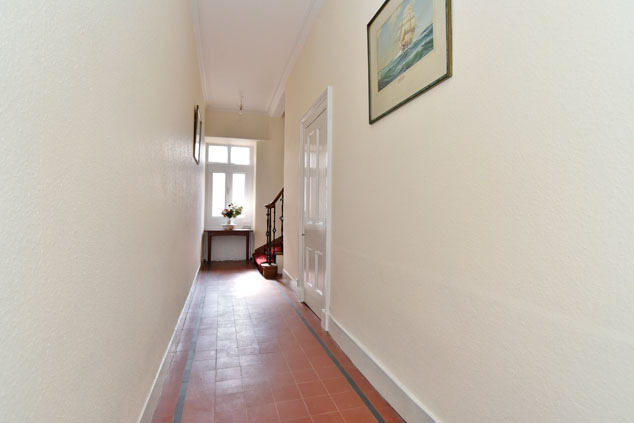 Stairs lead off the hallway to the upper floor where there is a large bright double bedroom, a further single bedroom with lovely views to the hills and a box room. This property also has the potential to offer a buy to let opportunity and viewing is highly recommended. Laurencekirk is an old market town in the heart of the 'Howe o' the Mearns' valley lying approximately 13 miles south of Stonehaven and is well served by local shops, hotels and a healthcare centre. Primary and secondary schooling are both available within the town. Laurencekirk's railway station allows for easy commuting to both the north and the south, while the A90 is only a short distance away bringing nearby towns and cities such as Montrose, Brechin and Dundee into easy reach. Entrance Hallway The exterior door leads to a tiled hallway with meter cupboard and large understair storage cupboard. A curved staircase leads to the first floor. First Floor Hallway An L-shaped hallway with roof light leading to all rooms on this floor. A carpeted staircase rises to the upper floor. Lounge 14’6” x 14’6” [4.45m x 4.45m] approx. Beautifully proportioned light and airy room with original grape and vine cornicing, picture rail and two painted wood panelled windows to the front. Fireplace with electric fire and wood surround. 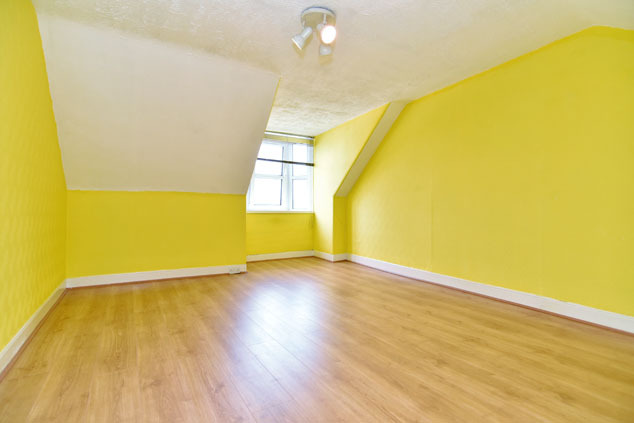 The room is decorated in neutral tones and has oak effect laminate flooring. TV point. Dining Room 11’8” x 10’1” [3.59m x 3.07m] approx. 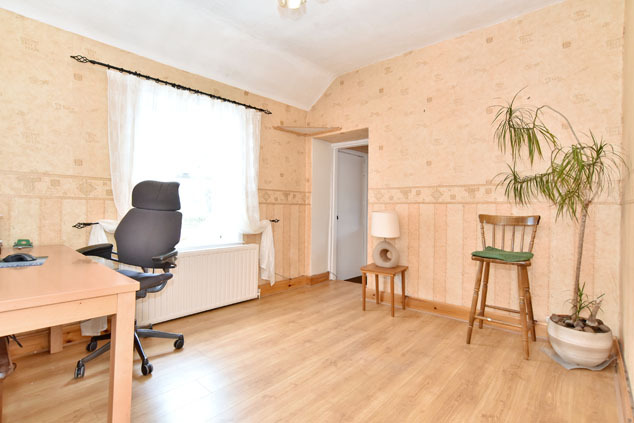 A versatile room leading to the kitchen, currently being used as a home office but suitable for use as a family or dining room. There is a window to the side of the property. Kitchen 15’10” x 12’11” [4.60m x 3.69m] approx. at widest The kitchen is fully tiled and has ample base and wall units in a light oak finish and featuring two windows to the side and rear. The kitchen features a Zanussi built-in double oven, gas hob and sink, as well as a washing machine, tumble dryer, dishwasher and fridge. A cupboard houses the central heating boiler. Bedroom 1 13’5” x 9’11” [4.11m x 2.77m] approx. 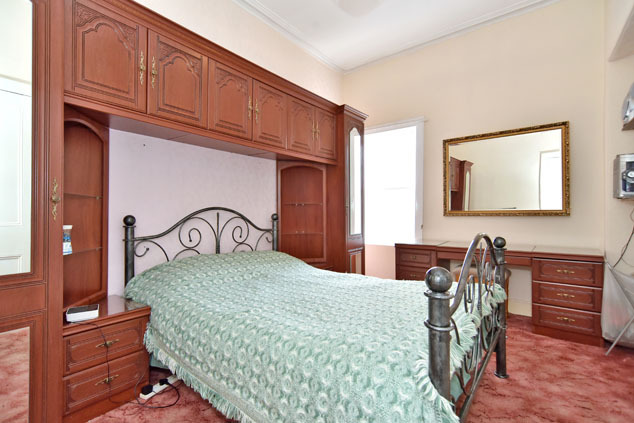 at widest This double room has built-in over bed storage, a window to the side and a shelved cupboard. The room is carpeted and decorated in neutral tones. Bedroom 2 10’1” x 8’9” [3.07m x 2.71m] approx. 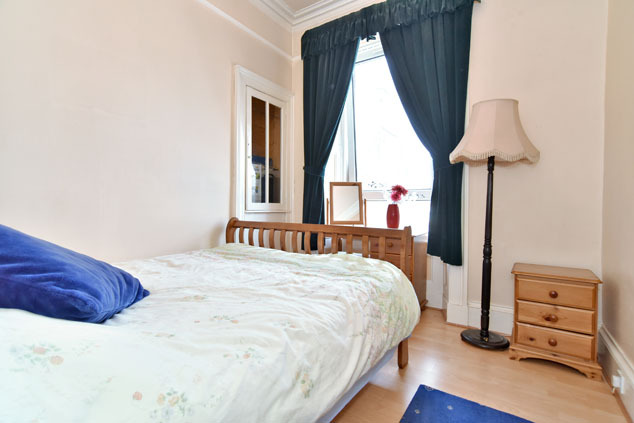 This lovely bright double room overlooks the front of the property and features deep coving, a picture rail and painted wood panelled windows. Laminate flooring. Bathroom 7’10” x 5’7” [2.16m x 1.74m] approx. The bathroom is fitted with a coloured suite with a shower over the bath and glass shower screen and medicine cabinet above the basin. There is an opaque window to the side of the property, vinyl flooring and wood panelling on the walls. Upper Floor Hallway A carpeted staircase leads to the upper hallway which has a radiator. Bedroom 3 17’1” x 11’2” [5.21m x 3.41m] approx. at widest Lovely bright well proportioned double bedroom looking to the front of the property with lovely views towards the Grampian hills. It features a double glazed window, radiator and there is ample space for free standing storage. Oak effect laminate flooring. Bedroom 4 11’10” x 9’3” [3.38m x 2.83m] approx. at widest Also with views to the front of the property and featuring a double glazed window and radiator. The room is laid with oak effect laminate flooring. Box Room 11’10” x 6’0” [3.38m x 1.82m] approx. at widest Excellent storage room with skylight and glazed window allowing light to the upper hallway. Outside Ample on-street parking is available. Directions Enter Laurencekirk from the A90 at the first entrance from the north and continue into the village. Pass Laurencekirk church on the right and the door to number 15 is on the left next to the shop. Notes Gas central heating. Partial double glazing. EPC=F. All floor coverings, curtains, light fittings and white goods are included, along with all furniture.